Windows Live Essential 2011 is a collection of free software programs from Microsoft. It includes tools like Live Messenger, Photogallery, Movie Maker, Windows Live Mesh, Windows Live Writer, Bing Bar, Microsoft Silverlight and more. Ideally, you can easily download and install Windows Live Essential software suite on PC with internet connection from the official website. How to download and install Windows Live Essential 2011 software suite on computer with no internet connection? 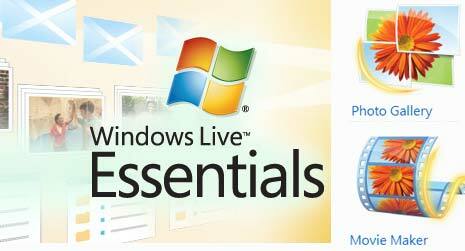 Microsoft also offer complete offline download-able package of Windows Live Essential 2011 software suite. Downloaded file can be used to install all program tools contained in Essential 2011 suite on computer with no internet connection. 1. Open Essential download webpage on computer with internet connection. 2. Then download Essential suite software for language of your choice on the PC. 3. Copy and transfer the downloaded file to computer with no internet connection. You can transfer downloaded file using USB pen drive or by burning on a CD or DVD disc. 4. Double click the copied Essential suite software file on PC with no internet connection. Follow on-screen instructions to complete installation of Windows Live Essential 2011 software suite on PC with no internet connection. It does not work for me. At some point it still ask for the Internet connection, after having installed a few items, but at that point you must either have an internet connection or cancel and, if you cancel, you cancel the entire installation.